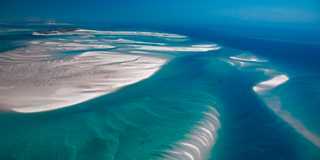 To make the most of Mozambique, fall into its rhythm: wake as the sun pulls above the horizon and brightens heavenly white sand beaches, before breakfasting as the first of the ivory-sailed dhows cuts across the cyan sea, swiftly navigating mangrove trees and breaching archipelagos. Paradisiacal in appearance, Mozambique is the place to visit after the excitement of a safari. Pretty churches, grand fascias and defensive forts point towards its Portuguese colonial history and add a little flamboyance to the natural landscape. Despite European touches, much of Mozambique remains unspoilt by a modern hand, and no more so than the sacred Mount Namuli. Relatively unexplored, climbers are still asked to observe local traditions (flour and rice is presented to local chiefs, then sprinkled on the mountain for their ancestors) before attempting its dramatic granite slopes. Those lacking the climbing expertise to conquer Namuli will be equally rewarded for hiking its lower hills. Unspoilt and well-preserved coral reefs are worth exploring by snorkel too, but those that like to go a little deeper will have the chance to see humpback whales or whale sharks with a dive in the warm waters of the Indian Ocean. More exotic creatures, like parrots, sea turtles and dugong, demonstrate the richness of Mozambique's islands and can be found at the conservation park on Bazaruto Archipelago. Near the end of the day, relax in a hammock and catch a glimpse of dhows returning to shore in time for the sun to set. Home to magnificent beaches, excellent diving spots and some truly tropical offshore islands - Mozambique is a great place to relax and unwind after the excitement of a safari. This place is a beach lover's paradise and a popular honeymoon destination.